Boltless shelving Archives - Shelving & Racking Ltd. Which hand loaded shelving should I buy? 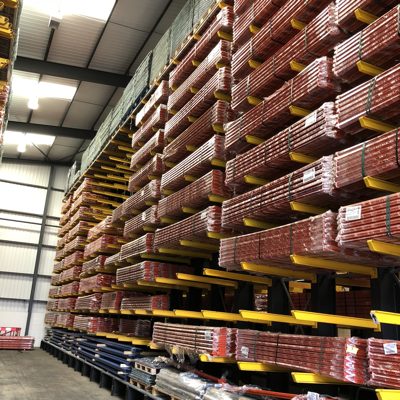 Hand loaded shelving comes in a wide range of sizes, duties and materials and we can help you to find the right one for your warehouse storage requirements. Longspan shelving is a scaled down version of pallet racking and has specially profiled beams to accommodate a chipboard deck. We have upright frames in stock which can be 2000mm to 5000mm high and 400mm to 1200mm deep, the beams range from 950mm to 2700mm in length. This shelving system can be made into multi-bay runs with shelving levels that are adjustable every 50mm on the frames. The loading capacity of this heavy duty shelving can is from 430kg – 1075kg UDL per shelf, depending on the length of the beams. All items are in stock and can usually be ready for dispatch in 2-4 working days. Our clip together shelving is a robust and easy to assemble shelving system which can have a load capacity of up to 400kg UDL per shelf. This completely boltless shelving system has adjustable shelf height and joining plates can be used to create continuous runs. 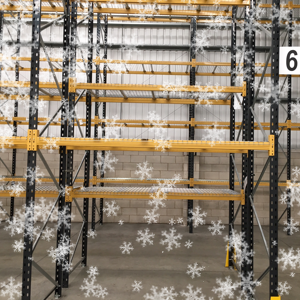 With heights from 2120mm to 3000mm and lengths from 1000mm to 1500mm, this is a great value shelving system for picking areas or medium duty storage. The steel shelving is a medium duty system and is available in a wide range of widths and depths. This shelving bay is 1830mm high with 6 shelves as standard, with 2130mm and 2430mm high options also available. It has a maximum shelf loading of 100kg UDL and bay loading of 600kg (dependent on specification). Bays can also be fully clad, with door and frame sets available for added security. Shelves can be raised or lowered by 25mm increments, making this system extremely versatile. If you would like to discuss your shelving needs or request a quote, please call us now on 0800 612 3210 or send us a message on the enquiry form and we will reply to you quickly.